The SWEDISH PROTEMICS SOCIETY (SPS) was founded in December 2001; a remarkable year that marked a historical turning point in genomic research. The approximate 30,000 genes from a given mammalian cell forms the basis of the corresponding proteome. A single gene can produce several functional proteins that are the result of a number of differential mRNA splicing events and post-translational modifications. Such biological diversity ensures that proteomics is centrally positioned in research and general public interest, and will continue to be so in the future. The exact number of proteins in the human proteome has been estimated at 300,000 to a few million. Undoubtedly, our scientific efforts within the proteomic research society will continue to provide additional information and contribute to answering this fundamental question. The birth of the Swedish Proteomics Society is a natural consequence of the strong interest in protein expression profiling linked to outstanding research in the areas of biomedicine, biotechnology, and biology. Here, genomics, protein chemistry and molecular biology have been successfully combined to further proteomic and medical research within the country. The aims of the society are to endorse activities within the proteomic field in Sweden, to interface with international proteomic programs and to develop and further promote state-of-the-art proteomic technology. The CEO of Apotekarsocieteten, Karin Meyer, is proud and delighted with the candidacy of the organization to host the prestigious international conference, HUPO 2020. Apotekarsocieteten is undertaking initiatives to increase the visibility of the society at the highest international level. 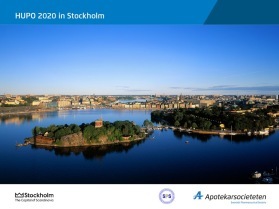 By applying to host the World Congress for Proteomics, HUPO 2020, the organization aims to promote and elevate Sweden as a venue for the drug developments of tomorrow. "Sweden is outstanding in proteomics, and the area is of key focus and importance for the research and development of future drugs." "Our application is strongly supported and the timing is perfect," says Karin Meyer. Proteomics involves the large-scale analysis of proteins and plays a major and growing role in the development of innovative drugs. Proteomics is also a key factor in biomarker research and the advancement of biological drugs. In both these areas, Swedish research is well-positioned at an international level. The Human Proteome Organization (HUPO) is an international consortium comprised of national proteomic research organizations, academic institutions and industrial partners. The purpose of the organization is to promote knowledge and development in the field of proteomics by representing global proteomic researchers and facilitating scientific cooperation between members. The largest and most important meeting of HUPO is the annual World Congress. The meeting is organized on a rotational basis in different regions of the world. In 2018, the HUPO congress was held in Dublin and in 2020 the congress will return to Europe and be hosted in Stockholm. "Sweden has a strong position in proteomics, not least through groundbreaking initiatives such as the Science For Life Laboratory and the Center for Excellence in Biological and Medical Mass Spectrometry," says Professor György Marko-Varga, representing the Swedish Proteomics Society, the expert group in the Apotekarsocieteten that prepared the scientific program for the Swedish candidacy. "We will be able to offer a world-class scientific program where we for the first time involve the pharmaceutical industry as well as healthcare to take proteomics to the next level." The application submitted by the Apotekarsocieteten is supported by a large number of notable organizations within the country. These include the Stockholm County Council, the Karolinska Institutet, the Royal Institute of Technology, the City of Stockholm, AstraZeneca and other pharmaceutical and biotechnology companies. "It is perfectly right that the Pharmacy Society is involved and aids Sweden in further strengthening the scientific profile and addressing this important area," says Karin Meyer. The 18th SPS Symposium will be held from 24-25 November 2019 in Gothenburg, Sweden. More details coming soon. The Swedish Proteomics Society (SPS) and the Swedish Pharmaceutical Society cordially invite proteomic researchers from around the globe to the 19th Human Proteome Organisation World Congress. From 18 - 22 October 2020, this all-encompassing symposium on the latest proteomic research and technology witll be hosted in the capital of Scandinavia, Stockholm, Sweden. The 18th Human Proteome Organisation World Congress will be held in sunny Adelaide, Australia from the 15 – 19 September 2019. 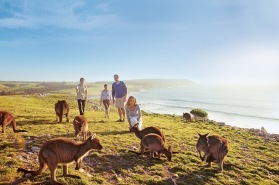 The Australasian Proteomic Society (APS) warmly extends their invitation to all proteomic researchers from around the world to join them in beautiful South Australia. EuPA is the federation that encompasses the European national proteomic societies. It was established to coordinate and integrate national initiatives within the field of proteomics. Through education and training, the main objective is to strengthen and promote fundamental proteomic research and applications in Europe. The Human Proteome Organization (HUPO) is an international scientific consortium comprised of proteomic research organizations, academic institutions and industrial partners. HUPO's mission is to define and promote proteomics through international cooperation and collaborations to better understand human disease. This is achieved by fostering the development of new technologies, techniques and training.